Don't miss your chance to secure an iconic Jeep model, head to All Star Dodge Chrysler Jeep Ram to upgrade to a 2018 Wrangler today! Boasting impressive performance specifications, agile handling and comfort features that are sure to leave all your passengers enjoying the ride, it's no wonder Baton Rouge, Louisiana drivers are opting for the 2018 Jeep Wrangler. Visit our new and used dealership in Denham Springs to learn more about the Wrangler family and to hit the road for an unforgettable test drive. Head to our new and used dealership in Denham Springs, Louisiana to explore the 2018 Jeep Wrangler family. Drivers can express their interest in our financing services from the privacy of their home so that there are no delays when shopping for a Wrangler at our dealership! 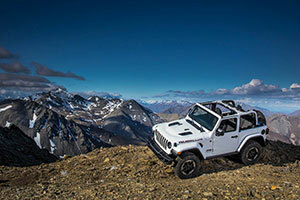 If you're looking for a spirited ride that offers an array of passive safety systems like an advanced airbag system and high-strength steel beams as well as active features like Blind Spot Monitoring, Rear Cross Path Detection and Electronic Roll Mitigation, you're looking for a 2018 Jeep Wrangler! 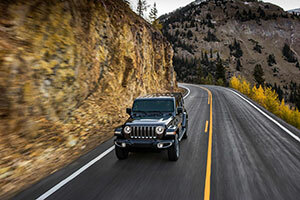 Contact All Star Dodge Chrysler Jeep Ram to learn more about the safety and security features that come standard on the Jeep trim you're interested in as well as those that can be added on for more peace of mind. 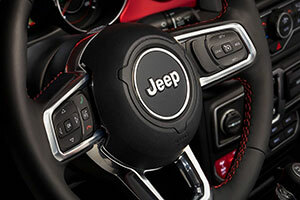 From its adjustable head restraints that make the trip more comfortable to the integrated Voice Command with Bluetooth® that helps keep you connected, the 2018 Jeep Wrangler is an SUV that Baton Rouge, LA drivers shouldn't miss. Visit our Jeep dealership to hear more about the trims that come standard with a Uconnect® 4 system, as well as the features that the Media Hub has to offer. Our sales department is familiar with all that this ride can be equipped with, so don't hesitate to ask us how you can personalize your Wrangler today! Baton Rouge and Central, Louisiana drivers are encouraged to shop our 2018 Jeep Wrangler inventory right here on our website! When you're ready to learn more about this model and experience its handling capabilities for yourself during a test drive, make the short trip over to our dealership in Denham Springs. We look forward to helping all auto shoppers in the area secure the Wrangler trim that complements their personality, needs and budget.